Those who wish to support their health and wellness goals by including more plant-based meals are often concerned with getting sufficient protein. It’s understandable that people might worry, as an adequate amount of protein is fundamental to body structure, immune support, hormone production, enzymatic processes and metabolism. Animal proteins, like meat, dairy, fish and eggs, are complete proteins, as they deliver all the essential amino acids. While there are many plant foods that contain significant amounts of protein, to ensure a full complement of amino acids, a plant-based menu may take a bit of planning. Whether animal-sourced or plant-sourced, all proteins are broken down into amino acids during digestion. There are lots of options when it comes to high quality vegetarian and vegan protein sources, including beans, pulses, whole grains, soy, nuts, seeds, and vegetables. As plant proteins may lack one or more essential amino acids, it’s important to eat a variety of foods. Those who eat a wide mix of protein containing foods each day should have no difficulty getting their fill of necessary nutrients. Those who wish to up their protein intake would be well served by adding plant proteins, rather than significantly increasing their intake of health damaging red and processed meat. The World Health Organization, as well as 2015 USDA Dietary Guidelines, suggest shifting to more plant-based proteins to improve nutritional quality, while supporting overall health and the environment as well. 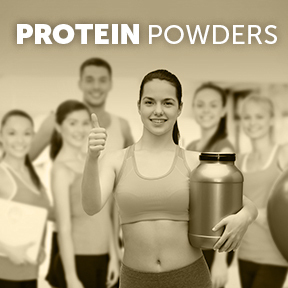 Currently, high protein diets are popular for those who wish to build muscle or lose weight. The recommended daily allowance (RDA) is a modest 0.36 grams of protein per pound of body weight. This reflects about 10% of daily calories, or the minimum requirement, rather than a healthier optimum amount. Current dietary guidelines advocate getting between 10% and 35% of our daily calories from protein sources. Although there’s a general position that American diets are protein heavy, the average person consumes around 16% of their daily calories in the form of plant and animal sourced protein, suggesting that Americans need more protein, not less. A report published in the American Journal of Clinical Nutrition (AJCN) argued that 16% is anything but excessive, and suggests twice that amount is “safe and effective” for good health. The report noted the potential benefits of a higher protein intake, including preserved muscle strength during the aging process, and maintenance of a “leaner, fat-burning” physique. Additionally, the report suggested that spacing protein intake throughout out the day is more health promoting than eating a protein heavy evening meal. Maximizing protein consumption appears to support weight loss and lean muscle growth, when accompanied by exercise and a cutback on sugars and starches. So as not to exceed caloric intake, those striving for weight loss, or improved general health, should reduce or eliminate low quality refined carbohydrates when high quality protein intake is increased. Protein consumption should be based on age, current state of health, activity levels, muscle mass and fitness goals. While there are differing opinions as to the optimal amount of protein to consume for good overall health, The Institute of Medicine recommends a minimum of 0.8 grams of protein for every 20 pounds of body weight, or approximately 46 grams per day for an adult woman and 56 grams per day for an adult man. Those who are physically active or looking to build muscle may require higher amounts. Pulses – Pulses are dried edible seeds that grow in pods such as peas, lentils, beans and chickpeas. One cup of peas provides 8 grams of protein plus vitamin C. In addition to fiber, one half cup of chickpeas provides over 7 grams of protein. High fiber, highly nutritious beans provide 13 grams of protein per cup. Non-fat and versatile, cooked lentils provide 8 grams of protein per half cup. Whole Grains – Quinoa provides heart-healthy fats, amino acids and 4 grams of protein per half cup. Amaranth provides almost 5 grams of protein per half cup, is gluten free and provides calcium iron and fiber. Nuts and nut butters – Although high in calories, nuts provide up to 6 grams of protein per ounce. Nuts are high in fiber and healthy fats and provide iron, calcium, magnesium, selenium, phosphorus, B vitamins, vitamin E, antioxidants and other nutrients. Soy – Tofu and tempeh made from soy beans are highly nutritious and provide 15 – 20 grams of protein per half cup. Soy beans, or edamame, are great straight from the pod and provide over 8 grams of protein per half cup. 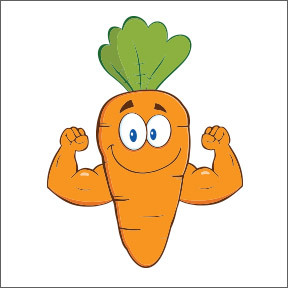 Protein-rich vegetables – Although not as high in protein as beans, nuts or legumes, veggies including spinach, kale, broccoli, Brussels sprouts and artichokes provide antioxidants, fiber and about 5 grams of protein per cooked cup. Seeds – Chia seeds contain all nine essential amino acids, omega-3 fatty acids and 2.5 grams of protein per tablespoon, and can easily be added to salads, shakes or cereal. Sunflower seeds add healthy fats and 7 grams of protein per quarter cup. Seitan – High in protein and popular with vegans and vegetarians, seitan is sourced from wheat gluten and provides an impressive 36 grams of protein per cup. Seitan, which can be prepared in a variety of ways, provides iron, calcium and phosphorus. Non-dairy milks – Soy milk is high in protein, providing up to 1 gram per ounce. Almond, hemp and rice milk provide about 1 gram per cup. Organic Hemp Protein Dark Chocolate Flavor by Manitoba Harvest – This clean, plant-based, easily digestible, organic hemp protein provides 8 grams of complete protein and 10 grams of fiber per serving with only three ingredients, raw, cold milled organic hemp powder, organic low glycemic palm sugar and fair trade cocoa powder. Also available in organic vanilla flavor. Organic PurePea™ Natural Vanilla by Designs for Health – This highly bioavailable, easily digestible, vegan pea protein powder contains raw, certified organic, American grown yellow peas produced with natural fermentation, organic natural flavor and organic stevia extract. This product provides 20 grams of protein and a full complement of amino acids per serving. Also available: Organic Chocolate and Organic Unflavored. Vegan Protein Vanilla by Innate Response Formulas – This vegan powdered protein formula provides 23 grams of nourishing pea protein per serving. Low allergen potential formulation is grain, soy, dairy and gluten free. Stevia sweetened. Vegan Protein Chocolate by Dr. Mercola – ON SALE – This perfect blend of five high quality plant proteins is ideal for post workout, a quick energy charge or an anytime protein boost. The product provides pea, hemp, chia, potato and chlorella, delivering 12 grams of protein per serving, plus fiber, digestive enzymes and BCAA’s for optimal muscle building. Also available in individual packets for easy toting. Additional flavors: Cinnamon and Vanilla. Pea Protein Hypoallergenic by Prescribed Choice – This Non-GMO, diabetic-friendly yellow pea protein powder provides beneficial amino acids and 26 grams of pea protein per serving. Highly soluble, easily digestible, naturally flavored with vanilla or chocolate. Vegan formulation.